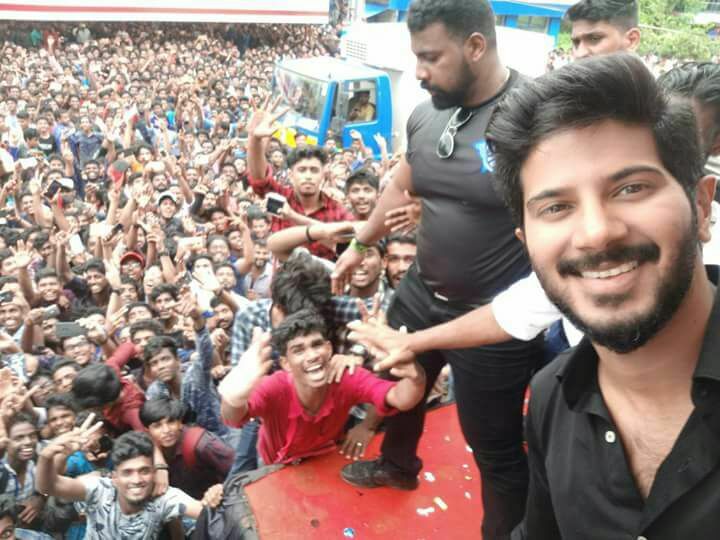 Mumbai, 4th August, 2018: Fans thronged in thousands to get a glimpse of Dulquer as the talented actor met with them after his first Hindi film Karwaan which released on Friday. The movie has opened to positive reviews from critics and a strong word of mouth. Audiences have been praising Dulquer for his performance in the film. Dulquer even posted a video on his social platform thanking fans for the love and support they have shown for the film. He also urged people to watch the film and give a feedback on what they thought about of the film.